Mastering O.C. 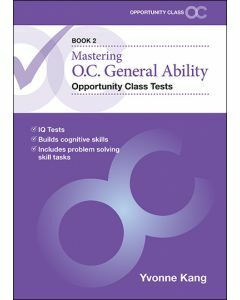 General Ability Opportunity Class Tests Book 2 by Yvonne Kang - 2018, Publisher: Five Senses. Mastering O.C. Mathematics Opportunity Class Tests Book 2 by Yvonne Kang - 2018, Publisher: Five Senses. Mastering O.C. General Ability Opportunity Class Tests Book 1 – 2017 by Yvonne Kang, Five Senses. Mastering O.C. Mathematics Opportunity Class Tests Book 1 – 2017 by Yvonne Kang, Five Senses. 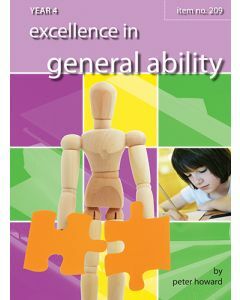 Excellence in General Ability Year 4 by Peter Howard, 2013. Coroneos Publications. 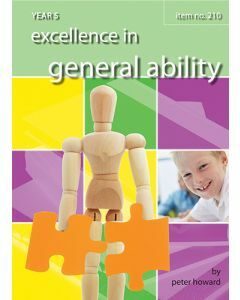 Excellence in General Ability Year 5 by Peter Howard, Publisher: Coroneos Publications 2013. Excel Test Zone - Opportunity Class Placement-style Test Pack Year 4 by Alan Horsfield, Allyn Jones - 2009, Pascal Press. Top Skills O.C. 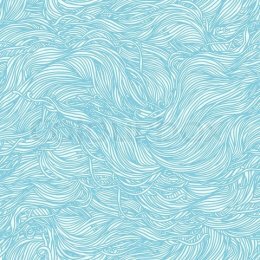 Maths Tests by Elyse Methven, Publisher: Five Senses, 2007. Excel Revise in a Month - Years 4-5 Opportunity Class and Scholarship Tests by Allyn Jones, Alan Horsfield, Kristine Brown, Pascal Press 2006. 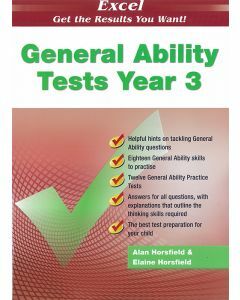 Excel Test Skills - General Ability Tests Year 3 by Alan Horsfield, Pascal Press, 2004. 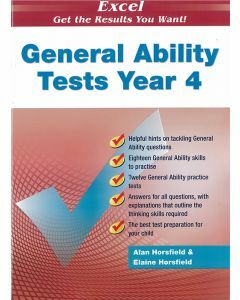 Excel Test Skills - General Ability Tests Year 4 by Alan Horsfield, Pascal Press, 2004. 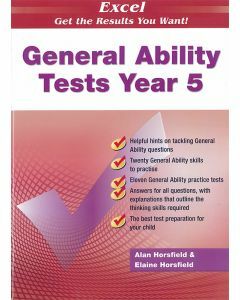 General Ability Tests Year 5, by Alan Horsfield & Elaine Horsfield, Publisher: Pascal Press, 2004. 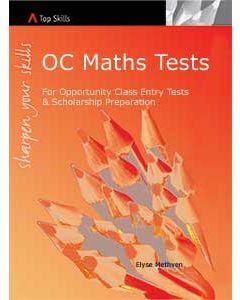 Excel Opportunity Class Mathematics Tests Years 3–4 by Alan Horsfield, Pascal Press 2004. Excel Years 3-4 Opportunity Class Reading Tests by Alan Horsfield, Pascal Press, 2004. 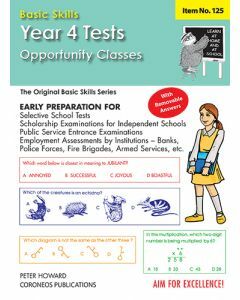 Opportunity Class Tests Skills and Strategies Years 3-4 by John Moir, Publisher: Pascal Press 2004. Excel Opportunity Class Tests Years 3–4 by James Athanasou, Pascal Press 2004. Year 4 Opportunity Classes Tests by Peter Howard. Jim Coroneos Publication, 1998. 60 p. : ill. ; 28 cm. 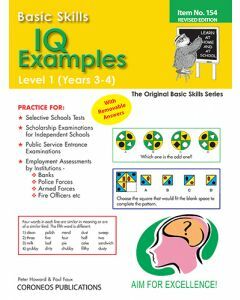 IQ Examples Level 1 Yrs 3 to 4 by Peter Howard, Publisher: Coroneos Publications 1998. 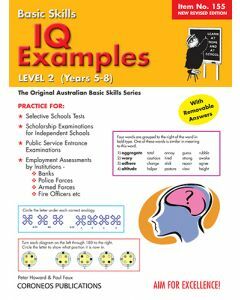 IQ Examples Level 1 Yrs 5 to 8 by Peter Howard, Publisher: Coroneos Publications 1998. 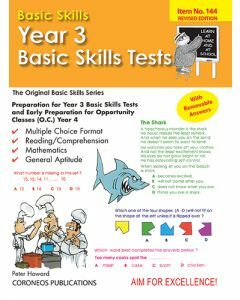 Year 3 Basic Skills Tests and early preparation for opportunity classes (O.C.) - year 4 by Peter Howard, Publisher: Coroneos Publications, 1998. 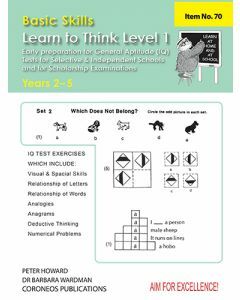 Learn to Think Level 1 Yrs 2 to 5 by Peter Howard, Publisher: Coroneos Publications, 1992.